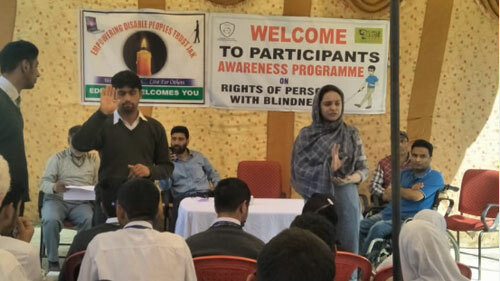 09th of April 2019, a programme on Blind awareness week was organised by Humanity welfare organisation Helpline in collaboration with Empowering Persons with Disabilities forum Kashmir. The programme was organised at zaiba Aapa inclusive education Bijbehara. Scores of persons with blindness, their parents, resource teachers og Samagrah and managing body of EPDF participated in the programme. 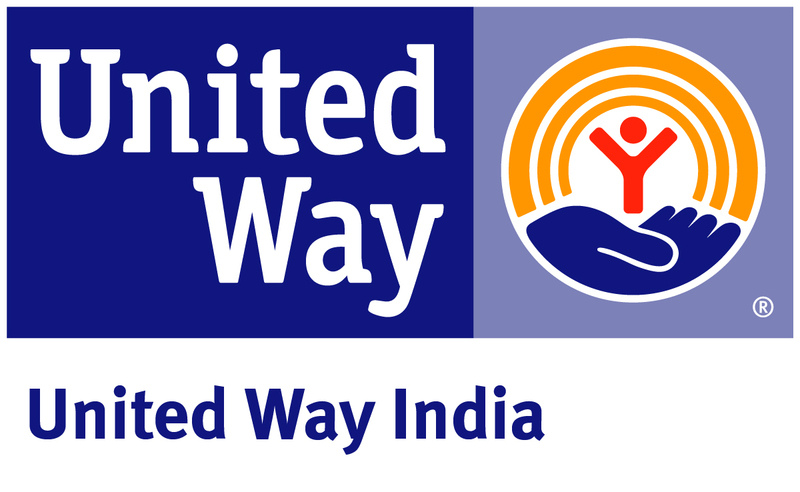 The programme was facilitated by Childlline Anantnag team. President EPDF Mohammad Shafi mir gave oroentation on mobility training. He instructed students with blindness the aeroplane method of searching and crocodile methods. In addition a brisk training on defense for above and below body levels was given to persons with Blindness. He gave a motivating lecture on the empowerment of persons with blindness and stressed upon youth facing blindness to live life with independence. Shafi explained various causes of blindness and stressed on participants to remain aware about the protection new generations from blindness. General secretary EPDF Mr. Shahnawaz Samoon a popular radio broadcaster explained how persons with blindness face extreme challenges. The greater challenge is no access to school buildings, teaching learning material and non availability of resourse teachers. Khursheed Ahmad publicity secretary EPDF said that empowerment of blind persons is collective responsbility of society and government. Only aids and apliances provision is not the empowerment children with blindness. A renowned social activist Dr Mushtaq Ahmad said that every person should be friend of persons with disabilities. It is responsibility of society to be sensitive about rights and entitlements of persons with disabilities. He stressed on organisers to involve society especially senior citizens in the awareness programmes so that society knows the persons with blindness and other types of disabilities. 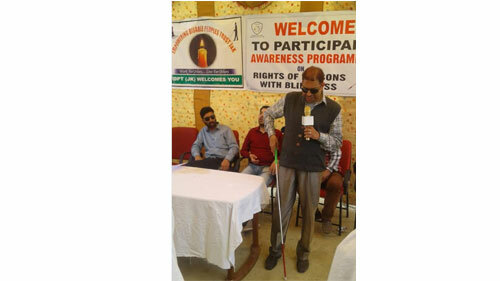 Joji verghees a special educator of zaiba aapa institute of Inclusive Education Bijbehara explained need of mobility orientation for independence of persons with blindness. He said that government should provide safe passages and tactile paths to ensure safe mobility of persons with blindness. Without white can it is impossible for persons with disabilities to live a life with independence and dignity.. white can is the first friend of persons facing blindness. Javed Ahmad Tak organisor of the programme said that children with blindness need early detection and intervention programmes, so that the part of eye sight preserved is used and not lost. The parents should be highly affectionate and caring for their children with sight disabilities. Every year first week of April has been celebrated as awareness for the controll of blindness. We all must take benifit of this programme Tak added. He urged upon all youth and children with disabilities not to live a dependent life but to use white can and go independent. Tak said that government should frame policy and devise mechanism for the provision of employment through recruiting agencies, so that employment opportunities are created and implemented as mandated by rights of persons with diaabilities Act 2018. The recent episode of discouraging Ruhi jan a student with blindness through JK board of professional entrance examinations while appearing in examination of entrance for special B. Ed programmme. All the participants in pne voice requested the Secretary to government social welfare department to remove the chairperson JKBOPEE immediately for discriminatory remarks about aspirant with blindness. 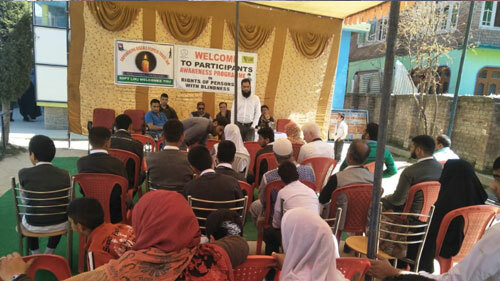 Mr. Shujat Farhan coordinator childline Anantnag presented vote of thanks.